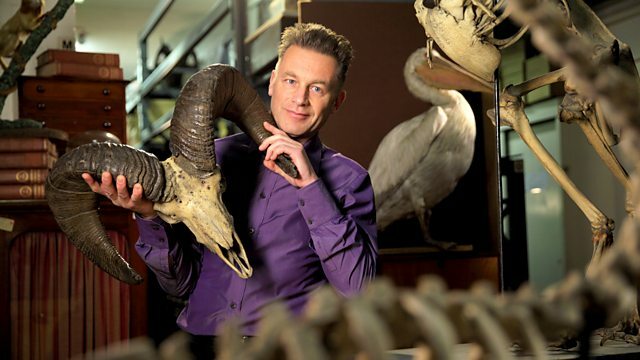 Chris Packham unravels nature's weirdest events. In the UK a virgin snake gives birth, in the US a sea serpent washes up and in Morocco 12 goats stand stock still in a tree. Once again Nature's Weirdest Events has trawled the internet, raided their contact book and scoured the scientific world to unearth a treasure trove of bizarre and baffling stories. Using UGC clips of the events themselves, Chris Packham deconstructs the weirdness using eyewitness accounts, scientists and BBC archive footage. In this series there is everything from scores of pigs swimming in the Caribbean to the tiny tick that is turning America vegetarian. There is a giant worm decimating fish tanks, a strange blob appearing when comets are seen, the real-life sea serpent washed up on the Californian coast and a Japanese island swarming with rabbits. In the UK a virgin snake gives birth, in the US a sea serpent washes up and in Morocco 12 goats stand stock still in a tree. It's a weird world, and Chris Packham explains why. A female anaconda gives birth without meeting a male in 6 years. What on earth is going on?